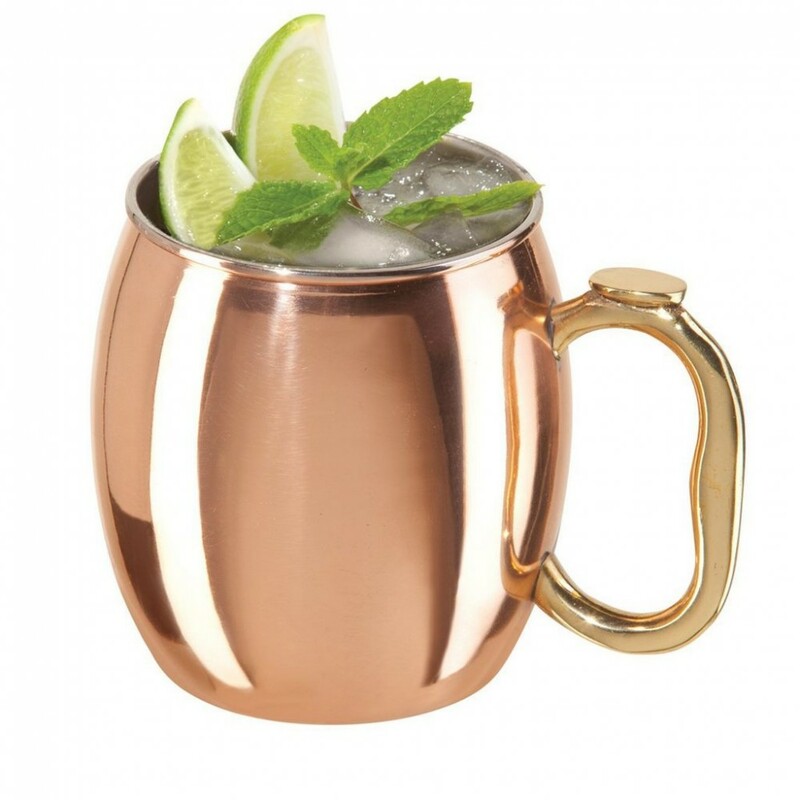 The Moscow Mule (vodka, ginger beer and lime) was first created in 1947 and has always been enjoyed in a frosty copper mug. This updated version of the classic mug is handcrafted from hygenic, easy clean stainless steel with a copper plated exterior and a solid brass easy-grip handle. This mug combines old world charm and new materials to enhance your Moscow Mule experience.